I’m Joanne Russ and I am excited to be joining the Evestrust Team. I am 29, married to Tony (who has also just joined the Team) and I am on a career break from the police force to look after our 2 year old son Charlie. I grew up in Doncaster but moved away for a brief spell when I first met Tony. We moved back to the area in 2015 shortly before Charlie arrived. Although I took the career break to be at home with Charlie, I wanted to do other things with my time and really make the most of being off work. Last year I took my Level 2 Gym Instructor course, and I also achieved a qualification in Nutritional Advice. 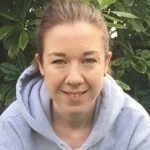 I have a passion for health and fitness, which is why I started up a blog and a Facebook page offering fitness & nutrition tips to fellow mums. 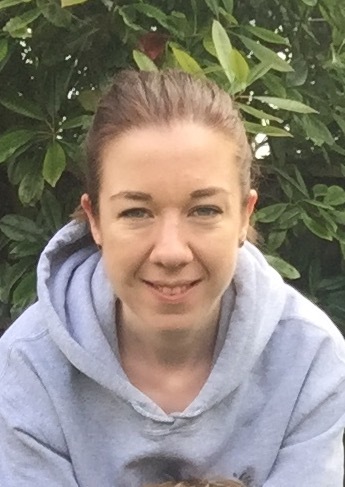 At the beginning of 2017 I began volunteering for Yorkshire Sport Foundation; with their funding I set up and ran free fitness classes for the mums that I had met through toddler groups, and since then I have become a mentor, helping other mums in Doncaster to access funding to set up their own activities. I truly believe in the good that volunteers can do in their local communities. I first heard about Evestrust in the recent run up to the Legends football game as I knew one of the “heroes” taking part. As is all too common these days, I have seen people close to me be effected by cancer. My husband suffered from testicular cancer at just 35 years old, thankfully he made a full recovery. I am truly honoured to be involved with such an amazing charity, one which simply wants to take away some of the hurt and pain, if only for a moment, and to put a smile on the faces of those who are dealing with the cruellest of diseases.